Sophie lives in a London orphanage. Each night, while the other girls are sound asleep, Sophie explores her surroundings. One night, she sees a giant roaming the streets. The giant notices that he has been seen, and quickly snatches Sophie from the orphanage. 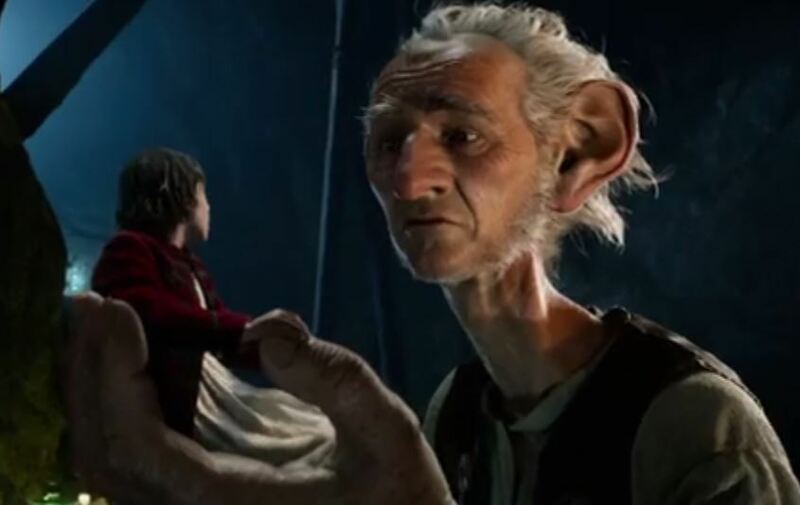 He takes Sophie to his home, introduces himself as the Big Friendly Giant (or BFG), and declares that she must live in his home for the rest of her life, since she has seen him. The BFG is a dream-catcher; although he gives good dreams to children at times, he gives Sophie a nightmare to discourage her from leaving. The BFG has captured Sophie because he fears what humans will do if they learn about Giant Country, but he also fears the other, much larger, giants, who kill and eat humans. The BFG once had a boy who came to live with him, but that boy was eaten by the other giants. 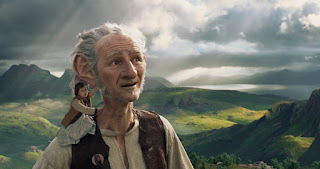 The BFG tries to protect Sophie; at first, he hides her. When he realizes that hiding her will not work, he tries to return her to the orphanage. Sophie protests, and is able to continue living with the BFG. Together, they appeal to the Queen of England, hoping both that she will receive the BFG kindly, and that she will use her forces to defeat the cruel giants. (SPOILERS AHEAD) The Queen complies; Sophie is able to live at the Queen’s home, and she continues to maintain contact with the BFG, who thrives with his newfound peace. As the film opens, Sophie is living in an orphanage. She is taken from the orphanage by the BFG, and originally protests. After she has grown fond of him, he tries to return her to the orphanage for her own safety. Eventually, Sophie finds a home at the Queen’s residence. We learn that Sophie dreams of family and of good times. Sophie gets to visit a beautiful place where dreams live; in one scene, she is surrounded by a collection of pleasant dreams. That concept could be a helpful one for kids who are scared of nightmares. 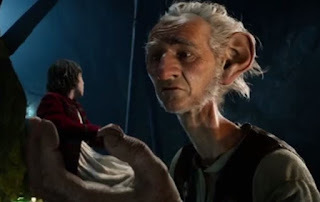 The BFG has long been guided by his fears, but he finds his bravery in order to help Sophie, revealing himself to the Queen, even though he does not know whether it is safe for him to do so. The Queen is a trustworthy and helpful adult; Sophie is able to find help by asking an adult for it. It is important for kids who have been abused or neglected to know that other adults are still trustworthy and safe to ask for help. The BFG has some very nurturing qualities; he feeds Sophie, tries to protect her, creates a home for her, and lets her accompany him on a wonderful adventure. However, he snatched her from her home, and intends to keep her in Giant Country even though another child under his care was killed and eaten by the giants. The BFG and Sophie find a nightmare that contains the harrowing thought, “Look at what you’ve done, and there will be no forgiveness.” Although this dream comes in handy when Sophie directs it at the villainous giants, the thought of no forgiveness could be troubling to some viewers, especially young ones. The threat of being eaten by giants is frequently revisited in this film; young children might find it quite scary. The orphanage where Sophie lived is abusive; she explains that she was “punished a lot” by being locked in a dark cellar with rats. This could be a difficult reminder for children who were abused prior to coming into care. Sophie demands that the BFG takes her home, and he flatly refuses. This could be a hard scene for children in foster care who are unable to return home. Later, when the BFG does decide to return Sophie to the orphanage, he tries to abandon her there, apparently leaving her alone outside. 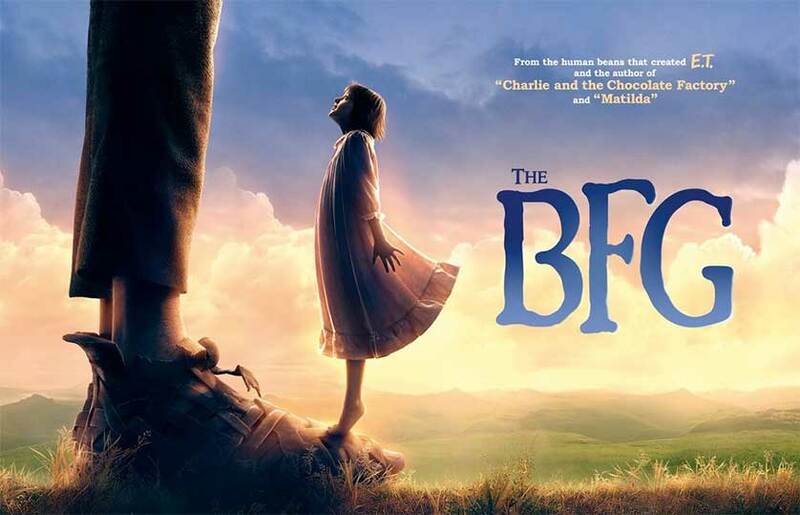 From one point of view, The BFG is a heartwarming story of a young orphan girl who makes an unlikely friend, encourages him to be brave, and finds a place to call home. From another point of view, it’s the story of a girl being snatched away from her home by a (very) grown man, subjected to danger, and ultimately only able to find safety when her abductor has a change of heart. The former interpretation is the one that the film intends, and is likely the one that most audience members will leave with, but the second interpretation is not impossible, and it is hard to predict how the film will be interpreted by a child who has been abused or neglected, or a child who remembers being taken from their home. Scary scenes where Sophie’s life is threatened by man-hungry giants could be too much for some young viewers, and other scenes might trigger kids’ specific fears of abduction, abandonment, neglect or abuse. The film does lend itself to discussions about how bravery is helpful for virtue, how people can change, and how some adults are safe people to turn to for help. 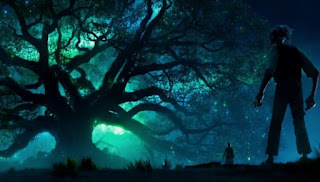 The BFG also presents a delightful, imaginative portrayal of the substance of dreams. In general, The BFG seems best suited for kids ages 9-15 and for adults. What have been some of your favorite dreams? If you could catch any dream, what dream would you catch? What dreams would you give your parents? Your friends? Your siblings? How can you tell whether an adult is a safe person to ask for help? What did you like about Sophie’s friend, the BFG? What didn’t you like about him?